Ru3 - A blend of anti-ageing ingredients make up this anti-wrinkles component. Reducing facial micro-contractions it smoothes and reduces fine lines and wrinkles from the very first signs. Antioxidant properties prevent from skin ageing, while collagen stimulation helps to plump and firm for youthful looking skin. Ri3 - Targeting fine lines and wrinkles, it improves firmness and strengthens skin's structure, as well as preventing from further signs of ageing. Dx3 - Detoxifying, it helps to remove harmful toxins while providing a protective shield to prevent others from entering. 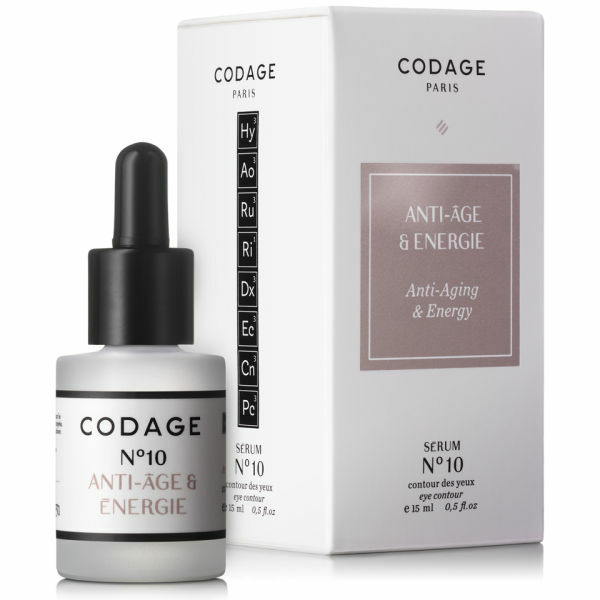 Repairing damaged proteins and boosting skin cell energy, it reveals a radiant complexion. Ec3 - Providing a variety of skin beneficial results, this mix of ingredients helps to reveal overall radiant skin. Skin cell renewal is promoted, moisture is retained and antioxidant properties help to protect. 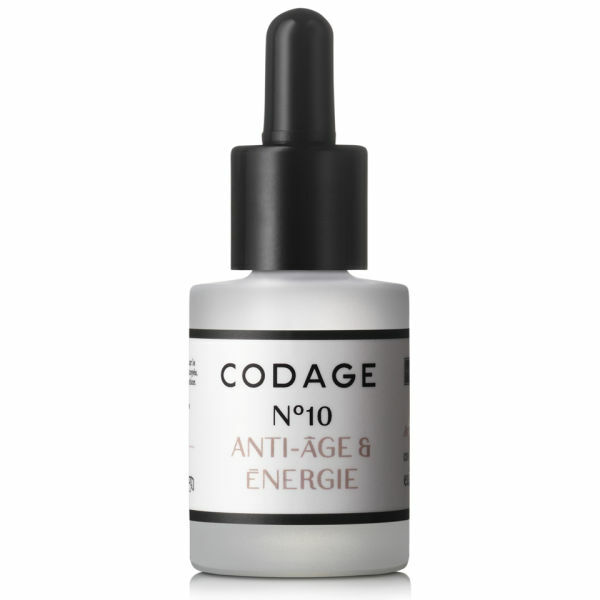 Cn3 - Targeting pigmentation, visible capillaries and puffiness, it soothes the eye area to reduce the signs of fatigue and ageing. Pc3 - Acting as a 'drain' for puffy eyes, it increases skin elasticity and relieves puffiness. The skin around the eye is smoothed with an even tone. * Oil, paraben and phthalate free. Aqua (water), glycerin, butylene glycol, dicaprylyl carbonate, caprylyl methicone, Albizia julibrissin bark extract, cyclopentasiloxane, betaine, Trifolium pratense (clover) flower extract, hydroxyethyl acrylate/sodium acryloyldimethyl taurate copolymer, lauroyl lysine, dipeptide diaminobutylroyl benzylamide diacetate, Chlorella vulgaris (chlorella) extract, hesperidin methyl chalcone, acetyl dipeptide-1 cetyl ester, sodium hyaluronate, acetyl tetrapeptide-5, Rhodiola rosea root extract, magnesium aspartate, dipeptide-2, Saccharomyces cerevisiae extract, hydrolyzed hyaluronic acid, diaminopropionoyl tripeptide-33, copper gluconate, acetyl hexapeptide-37, Tripleurospermum maritima (sea chamomile) extract, palmitoyl tetrapeptide-7, Plankton extract, zinc gluconate, palmitoyl tripeptide-38, erythritol, retinyl palmitate/carrot polypeptide, arginie ferulate, Laminaria digitata (oarweed) extract, ascorbic acid/orange/citrus limon/citrus aurantifolia polypeptides, palmitoyl oligopeptide, homarine HCl, tocopherol/wheat polypeptides, Algae extract, polyglucuronic acid, pentylene glycol, steareth-20, lecithin, laureth-3, hydroxyethylcellulose, caprylyl glycol, hydroxypropyl cyclodextrin, chlorhexedine digluconate, N-Hydroxysuccinimide, sorbic acid, chrysin, sorbitan isostearate, dimethicone crosspolymer, polysorbate 60, dimethicone/vinyl dimethicone crosspolymer, benzyl alcohol, potassium sorbate, sodium benzoate, styrene/acrylates copolymer, salicylic acid, dimethiconol, sodium hydroxide, phenoxyethanol, BHT, disodium EDTA, citric acid, sodium citrate, tocopherol, sclerotium gum.